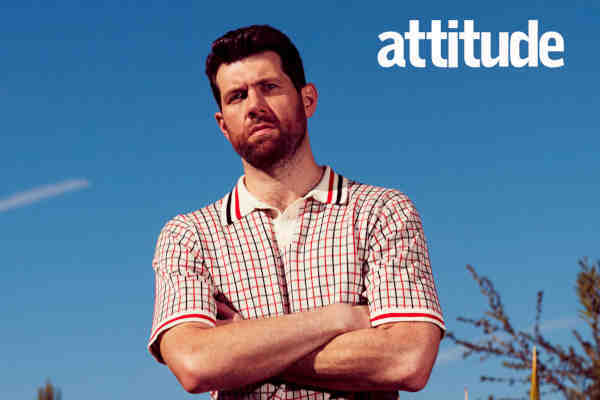 Out actor Billy Eichner will star in an upcoming Judd Apatow-produced romantic comedy. In addition to starring in the film, Eichner will share writing credits with Nick Stoller, who is set to direct the movie. Stoller's directing credits include Forgetting Sarah Marshall, Get Him to the Greek and Neighbors. The 40-year-old Eichner is best known as the star and creator of Funny or Die's Billy on the Street, which airs on truTV. Other credits include Craig Middlebrooks on NBC's Parks and Recreation, a starring role opposite Julie Klausner in the Hulu original series Difficult People, and a recurring role on FX's anthology series American Horror Story.